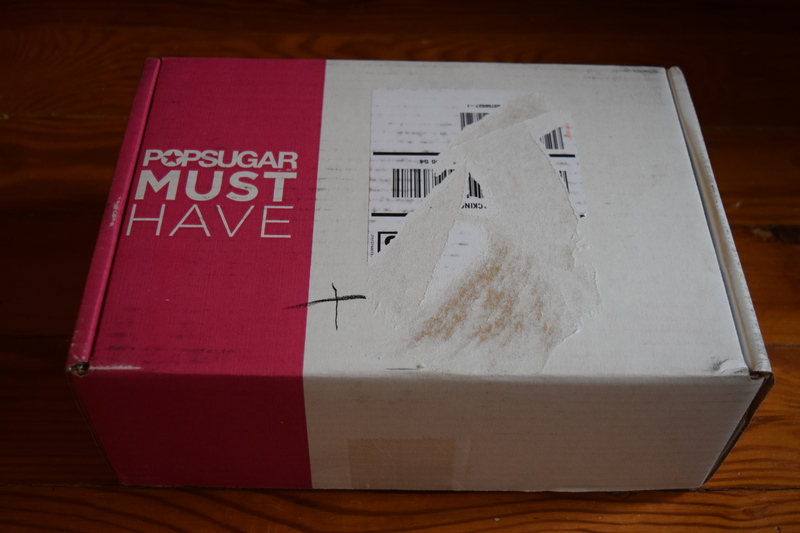 Popsugar: February 2016 & an April Spoiler! I’ve still got a few February boxes just waiting for a review. 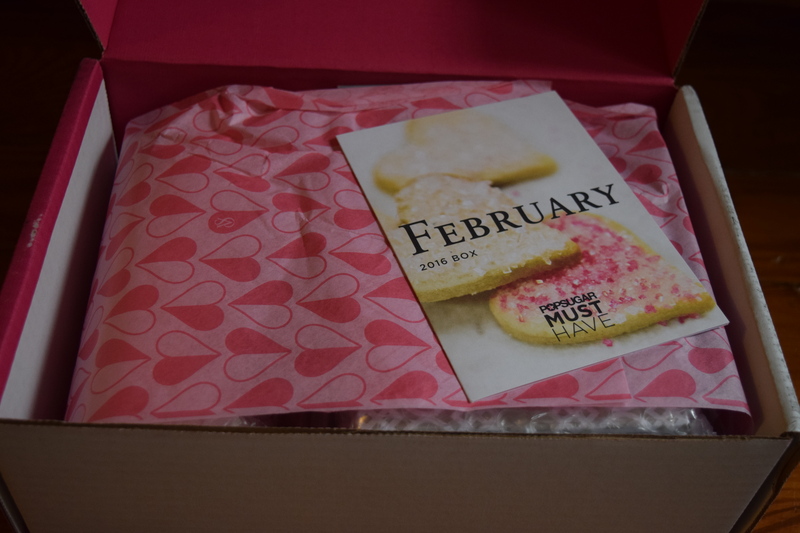 Since I just got my March Popsugar, I realized I’m overdue to talk about the February one. 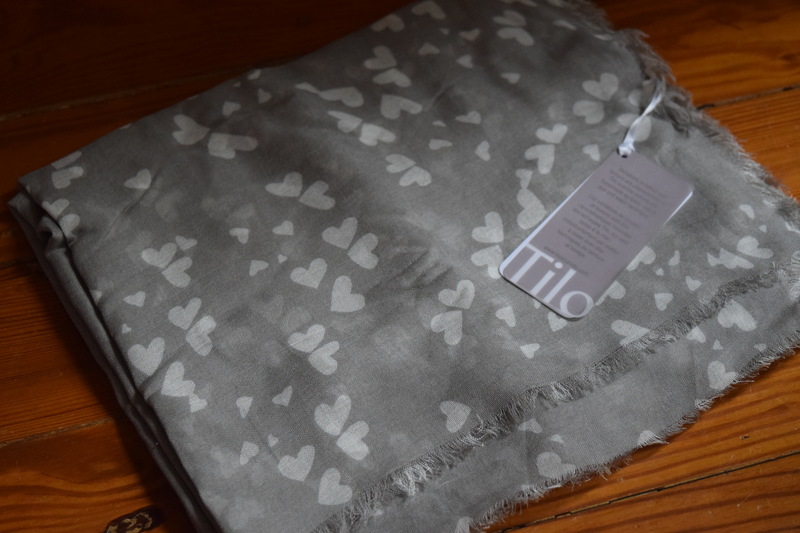 This is a lovely scarf and super soft, but I have so many scarves and this one just didn’t call to me, and I’m actively trying to trim down my clothes hoarding, closet. I did think it would make a great Valentine’s day gift for my Mom, so I passed it along to her. 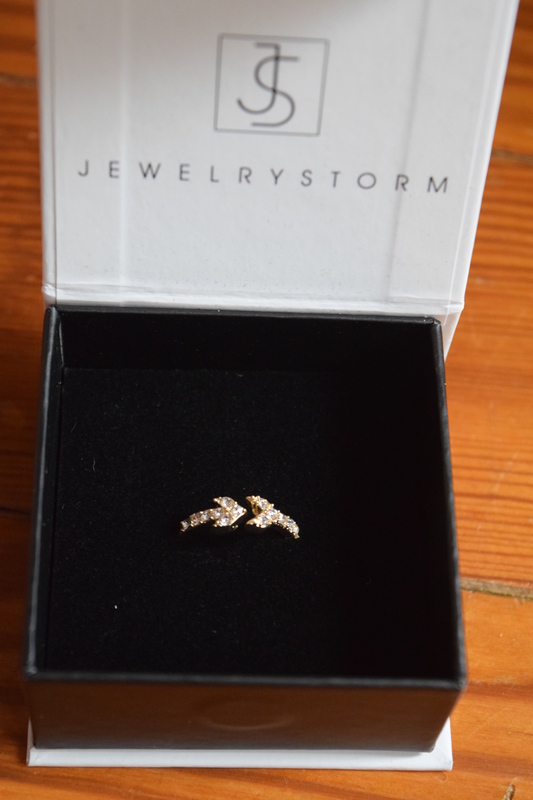 It’s definitely pretty and perfectly suited for a February box, although I couldn’t imagine paying $125 for it. I’m obsessed with trying out unique cleansers so this is right up my alley. I also have never tried this brand before so I’m excited for something new. I really love it when we get fancy/unusual versions of everyday items. 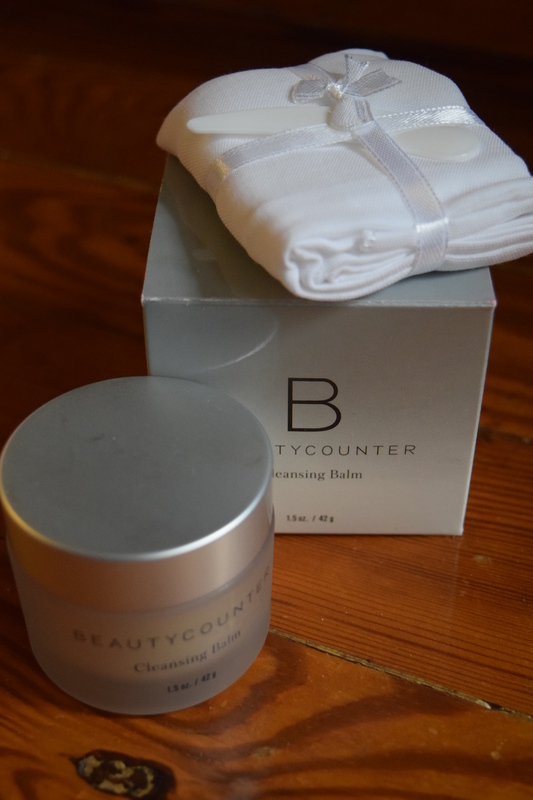 I think it’s a great way for us to add a little luxury or surprise to our everyday beauty routines. I love getting adjustable rings in boxes. They are versatile and fun. 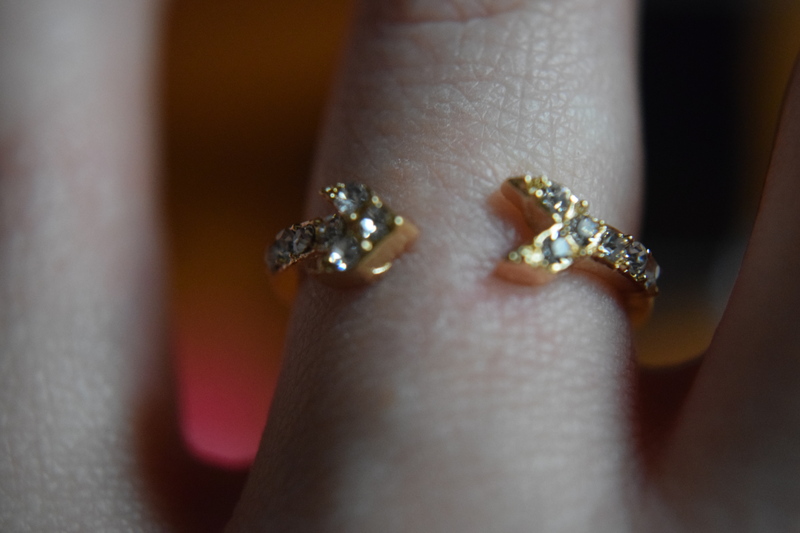 I actually own a similar ring to this one that is just a simple arrow with no rhinestones and I do wear it regularly. My problem with this piece is that to me, it just looks a little cheap. It’s like something you’d find in Claire’s. It’s really the rhinestones that make it look a bit young and inexpensive. 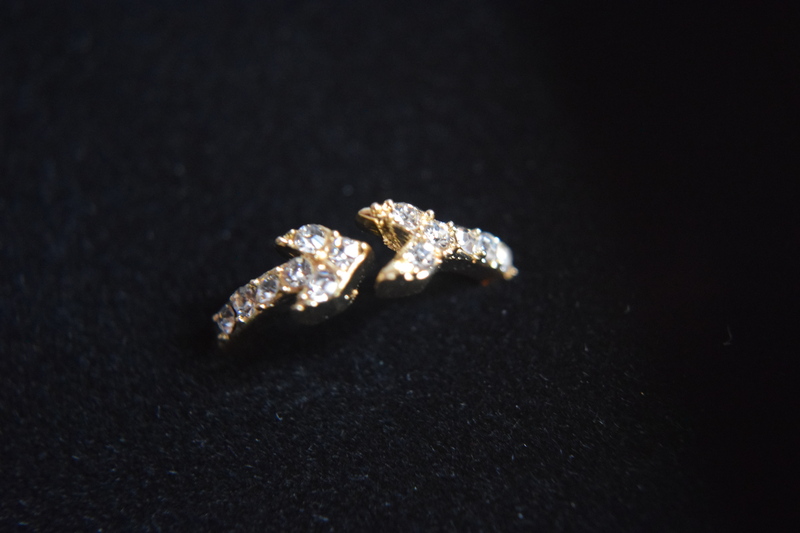 I think if this had just been a simple gold plated arrow ring it would have been infinitely better. It’s still a nice way to incorporate Valentine’s day and I do think a lot of subscribers would probably like it. 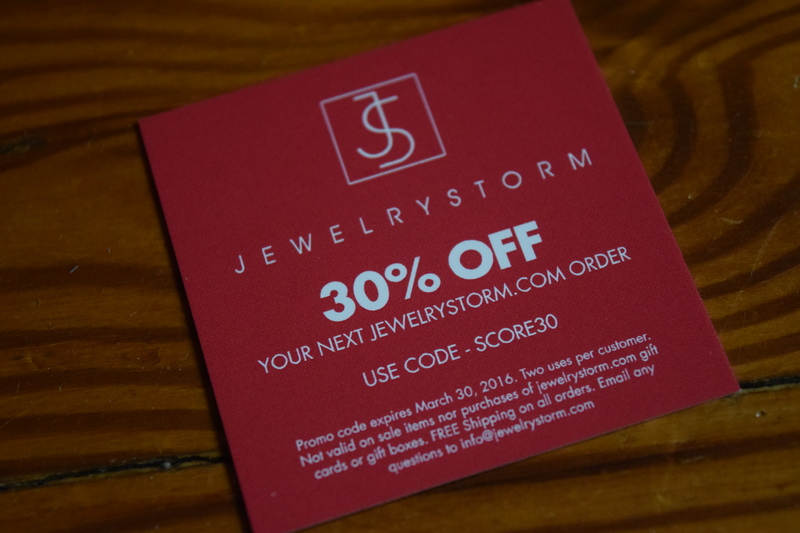 It also came with a coupon code. 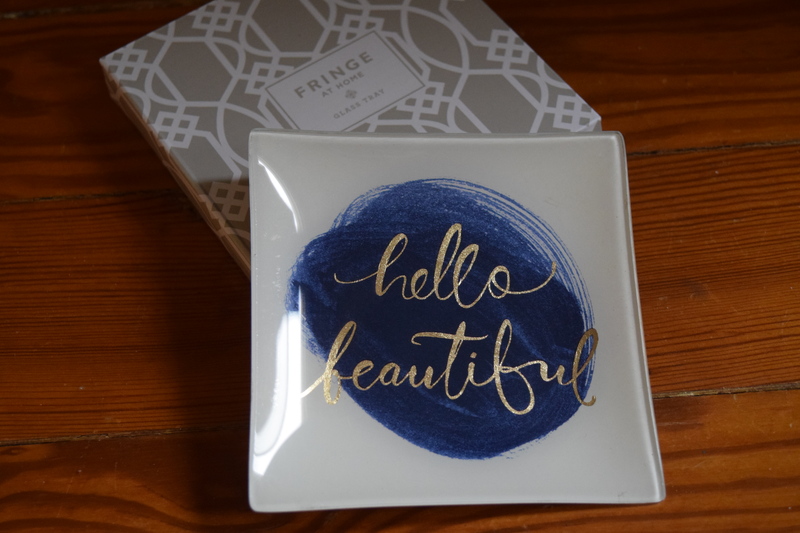 This little tray is lovely and adorable for corralling rings on your dresser or paperclips on your desk. Mine is now sitting on top of my media console in the living room. I’m always happy to get lotion that smells like food. Coconut makes me think of summer so this will be a nice reminder that the end of winter is in sight. First, Buffy the Vampire Slayer is my favorite show ever, so I am a huge fan of Sarah Michelle Gellar. 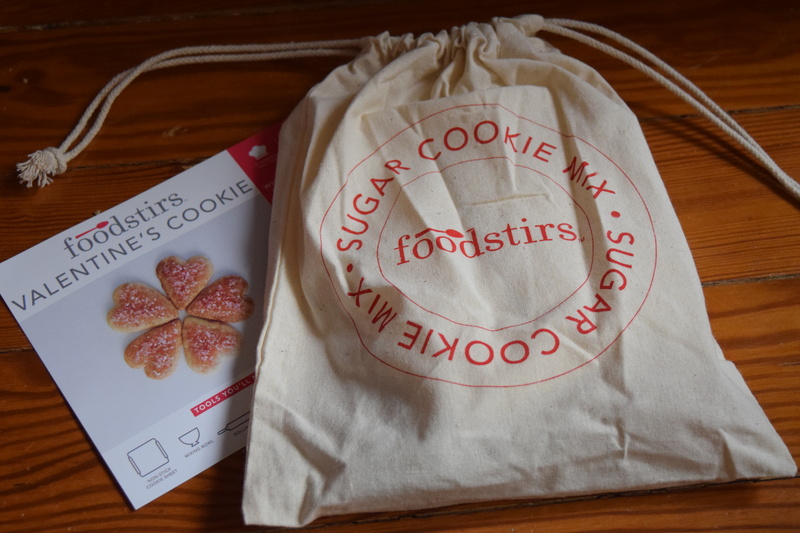 Second, I’ve been wanting to try out a Foodstirs subscription since I first heard it was coming out, but thanks to my giant baking hoard and Weight Watcher’s hard stance against sugar I haven’t tried it yet. 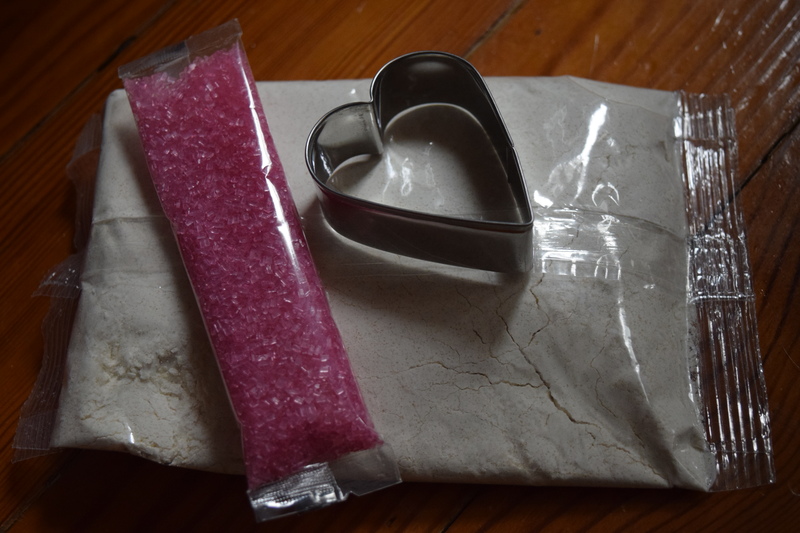 I’m so excited to try this kit and I had a great plan to make these for Valentine’s Day and blog about it all for you guys and then..I got the flu. Which is why I’m still working my way through 80,000 (approximately) February boxes. I do promise that eventually I will make these and take pictures and we’ll get to dish. These are surprisingly good quality socks. I never thought to go to Victoria Secret for my sport socks, but I these are great and I will definitely consider it. This cared is pictured with the lotion earlier up on this post. I don’t usually buy much from Victoria’s Secret but maybe I’ll use these for some new socks! With my prepaid discount this box only cost me $24.91 and the estimated box value (excluding the special extras) was $251.95. I do think the price of the scarf is inflated, but this is still a great value. Some of the items weren’t exactly to my taste, but I thought they fit the season really well and that the curation was thoughtful. I think a lot of subscribers would adore this box and it was a perfect fit for the Valentine’s Day holiday. This cookbook has tons of buzz and positive reviews so it’s a great choice in a Popsugar box. 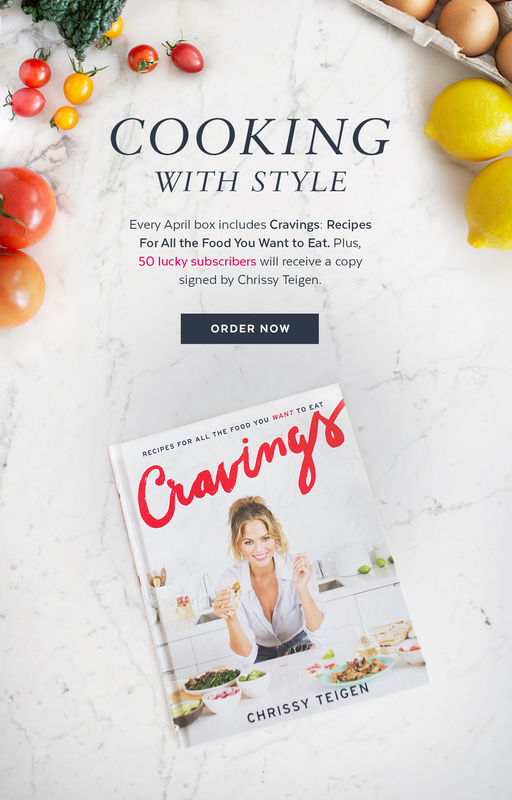 I’m going to use this on my Popsugar Reading Challenge for the “book written by a celebrity” slot and hopefully I’ll even try my hand at a few recipes for all. what an interesting mix of things in the February box! Because I collect hearts, I would’ve kept the scarf (glad your mom likes it), but I wish it were red or pink instead of white/gray. I could use those VS athletic sox! If it were read I think I would have kept it. I have a lot of gray scarves so I just couldn’t justify it. The socks are really comfy! Great for working out!